Pass Plus or Not ? My training car is the superb DS3 Prestige PureTech 130 S&S 6-speed manual. I chose this car after trying all of the usual cars that are used for training. 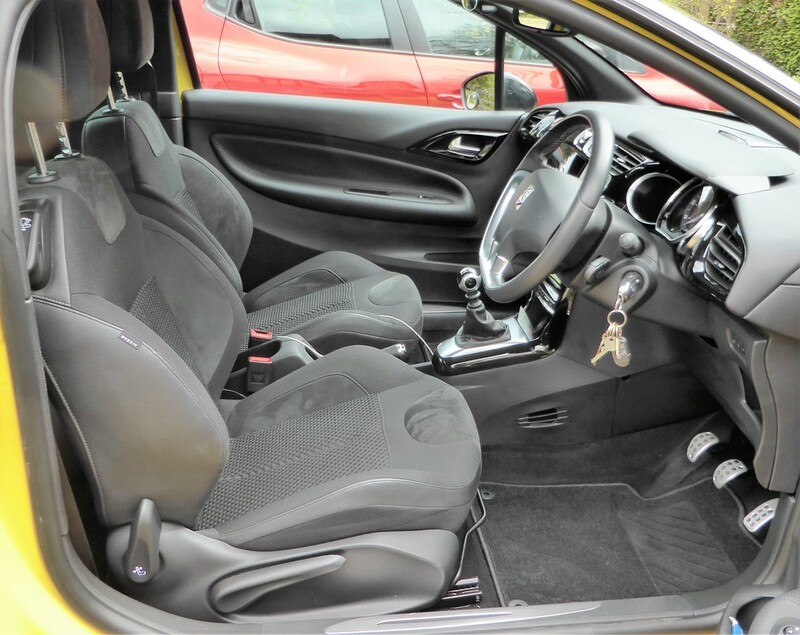 My key criteria was a car that had high build quality, class leading safety features, compactness for ease of use with a roomy interior for drivers of all sizes. For a while I thought I would have to choose a bigger car but found that the DS3 covered every criteria and its small size makes extremely manouverable. The fully adjustable seat (including height) and adjustable steering plus class leading cabin size means that it fits drivers of every size from the smallest to the largest. But it is still one of the most compact manoeuvrable cars out there. 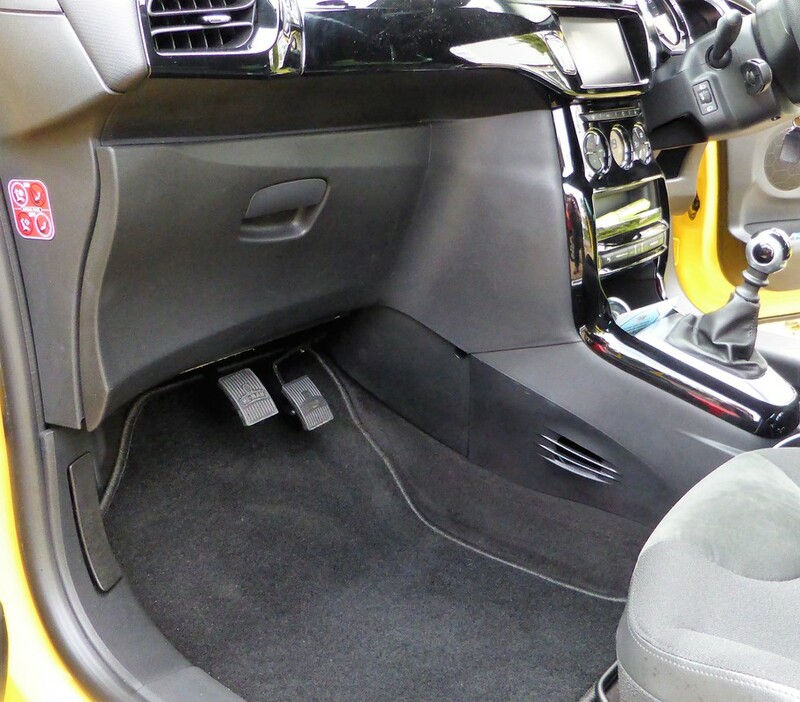 The car is fitted with He-Man dual controls because they are simply the best. Dual controls will always mean that I can bring the car under control whatever the situation. I chose the 130 Puretech S&S petrol because it was amongst the cleanest and easiest petrol engine to drive. It is therefore easy for new drivers to build confidence in a car that will be similar to the one they will own after they pass their test. It also means that with 128HP it has enough power to work safely and easily on dual carriageways and post pass motorway lessons. In addition to all the standard features, the car is also fitted with AlloyGators to protect the Alloy wheels should there be a small accident with a kerb. PURETECH PETROL ENGINES The PureTech family of three-cylinder engines represent a real technological breakthrough for the modern petrol engine. Compact dimensions, low weight and innovative low friction materials allow PureTech engines to deliver more power, exceptional driving characteristics and incredibly low emissions… and to win International Engine of the Year 2015. *ACTIVE CITY BRAKE helps avoid low speed accidents by automatically applying the brakes when an impact is anticipated. Operating in urban conditions at speeds of less than 20 mph, a short range sensor fitted to the top of the windscreen detects other vehicles that are driving in the same direction or stationary and monitors the rate at which the distance between the two cars reduces. If the distance to the car in front is too small and closing at too great a rate, the vehicle will perform an emergency stop to avoid a collision.